The Venezuelan government has banned Juan Guaido from holding public office for the next 15 years. The announcement by state comptroller Elvis Amoroso, a close Maduro ally, cited alleged irregularities in Guaido's financial records and reflected a tightening of government pressure on an opposition movement backed by the United States and its allies. 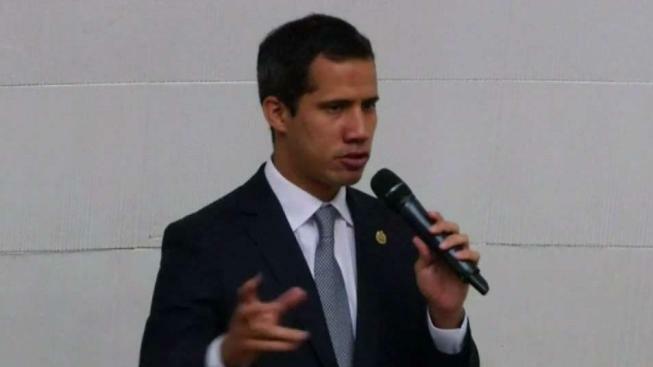 Guaido, who was elected to the assembly in 2015, has taken 90 international trips without accounting for the origin of the estimated $94,000 in expenses, Amoroso said. He also accused the opposition leader of harming Venezuela through his interactions with foreign governments, dozens of which support Guaido's claim that he is interim president of the country. In Washington, U.S. State Department spokesman Robert Palladino described the ban on Guaido as "ridiculous." Meeting in Ecuador, delegations from a group of European and Latin American countries also criticized the Venezuelan government's move. "Such a political decision without regard to due process is yet another demonstration of the arbitrary nature of judicial procedures in the country," said the International Contact Group on Venezuela. The group says it seeks the peaceful restoration of democracy to the country. The power struggle between Maduro and Guaido has intensified the sense of crisis in Venezuela, which suffered its worst blackouts earlier this month and then another round of power outages that paralyzed commerce this week. Communications Minister Jorge Rodriguez said Thursday that electricity had been restored in most of the country, though some areas remained without power and experts have warned that the system is vulnerable to further disruptions. Schools and public offices were still closed, but there was more traffic in the streets of Caracas and many people were able to make electronic payments for the first time in days. "It's a moment of happiness in the middle of this tragedy, to see that my card worked," Caracas resident Maria Isabel Vera said after buying medicine in a pharmacy. Both the opposition and the government plan demonstrations on Saturday as they try to project resolve in a debilitating standoff in what was once one of Latin America's wealthiest countries. More than 3 million Venezuelans have left the country in recent years, escaping dire economic conditions that left many without adequate food or medicine. Maduro, who is backed by Russia, says he is the target of a U.S.-led coup plot and has accused Washington and Guaido of sabotaging Venezuela's power grid. Both the U.S. and the Venezuelan opposition, as well as many electricity experts, believe neglect and mismanagement are the cause of the country's electricity woes. Venezuelan authorities this month arrested Guaido's chief of staff, Roberto Marrero, and accused him of involvement in a "terrorist" scheme to overthrow the government. The United States was the first nation to recognize Guaido as interim president, asserting that Maduro's re-election last year was rigged. It has stepped up sanctions and other diplomatic measures in the hopes of forcing him to give up power.